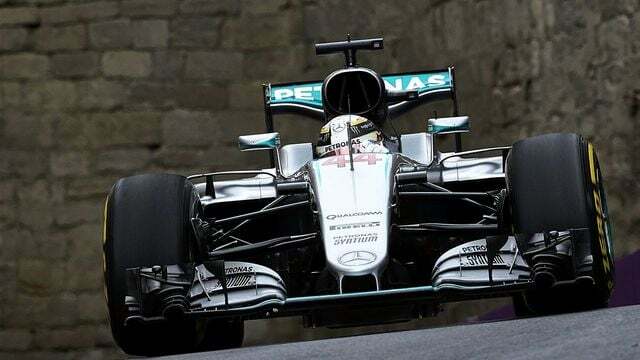 Lewis Hamilton was fastest for both Friday practice sessions ahead of the European Grand Prix in Baku, but the two sessions were littered with drivers having issues. In FP1, Valtteri Bottas reported smoke in the cockpit of his Williams, and he returned to the pit lane so the mechanics could take a look. Max Verstappen sat out much of the session due to an oil leak, he only managed to complete a handful of laps. In the other Red Bull, Daniel Ricciardo smacked into the wall and brought out red flags after depositing debris, including half of his rear wing, out on track. In the afternoon session, there was a virtual safety car period caused by Nico Rosberg, who stopped out on track after losing drive in his Mercedes. Both the Ferraris were plagued by energy recovery problems – Räikkönen stopped out on track and Vettel was called back to the pits soon after. Finally, Marcus Ericsson had a delayed start to his session after the engine was changed in his Sauber.